Pizza is always great but leftover pizza is always better. Well, except for a chewy crust that results from reheating it in a microwave. 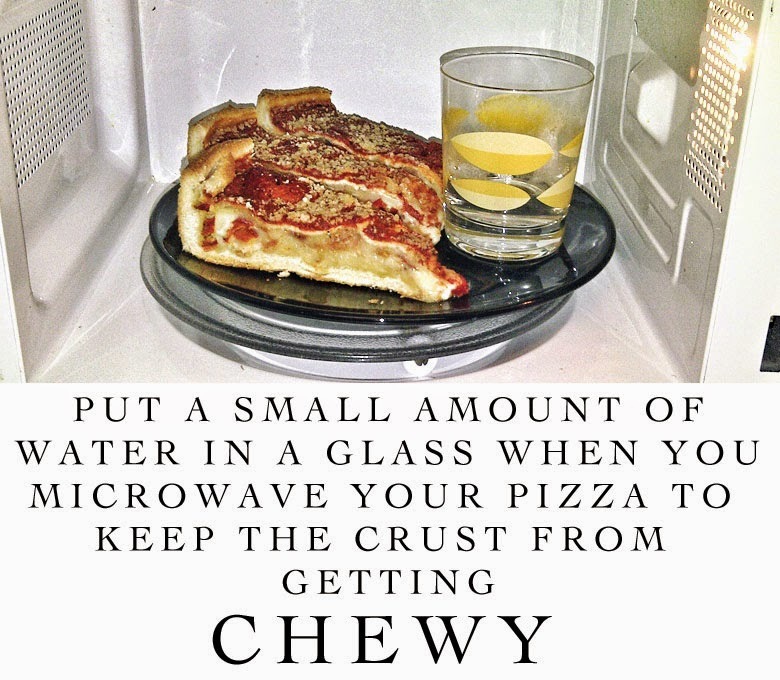 Apply this easy trick to keep the crust from getting chewy: Put a small amount of water in a glass when you microwave your pizza.